YouTube has provided us a great platform to upload our videos, so why not use it for promotional purposes? It is very easy to upload videos on YouTube considering you only have to make an id and you can start uploading. You can use YouTube advertising for promoting your brand and products. You can use various tools and links under the video description so that the users who are interested in your product can directly click on the link to have access to your site. Advertising in and around YouTube videos is becoming more popular these days. To advertise on this video site are several options. Just like Google Adwords, it is possible to show different ads only with movies on related subjects or specific keywords. This ensures that your ads will be targeted on a specific audience. This audience is already interested in a topic and will also be more interested in your ad. Which type is best for your ad campaigns depends on your goal. If you want to make your audience more familiar with your company, it requires a different approach than when you want to increase your conversion. The results of YouTube Advertising are just like Google Adwords easy to measure in Google Analytics. This means that we are able to adjust the different campaigns and advertisements to make it better suitable for your target group. YouTube marketing has proved to be extremely beneficial for many businesses and you can get popular within a very short span of time if you use upload your videos and promote your brand via YouTube. 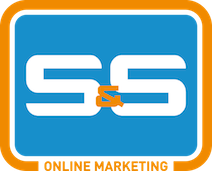 S&S Online Marketing is specialized in YouTube advertising. We have the knowledge and experience that is needed to create professional YouTube campaigns. Are you interested in YouTube advertising or do you want more information? Feel free trough the contact form or call us on: +31 36 30 300 61.